You can find us year-round every Wednesday at the Mulberry Market in Tattnal Square Park in Macon from 3:30-6:00pm. This wonderful "producer-only" market has all your local veggies, fruit, mushrooms, dairy, eggs, baked goods, protein, garden plants and honey. We are at this market rain, shine, winter and only close for major holidays or extreme weather. We can accept cash, credit, check, and EBT/SNAP benefits at this market. EBT benefits are doubled up to $50, and can be used to purchase CSA shares. 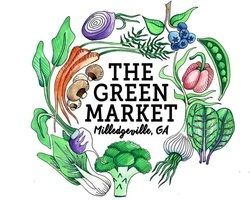 The First and third Saturdays of the month from 9am-noon we attend the Green Market in Milledgeville. This market is producer-only and is located in the city Pavillion, 222 East Hancock Street. In addition to veggies, baked goods, and local meat there are wonderful jams and jellies and some handcrafted wares to be found here! This market is bi-monthly in the winter, year round in the main season! Every Sunday we will be at the renowned Grant Park Farmer's Market from 9:30 to 1:30. This bustling producer-only market has everything from produce and meat, baked goods, prepared foods, and all things local and edible. Now going year-round! We can accept cash, credit, check, and EBT/SNAP benefits at this market. EBT benefits are doubled up to $50. We also sell "everyday sun-up to sun-down" at our honor system road side stand. We regularly stock our inventory and keep things fresh in refrigeration making available a selection of our season's at all times. 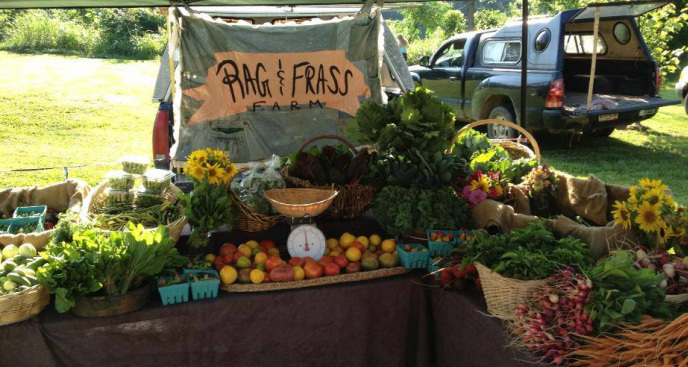 We will accept cash, credit, check, and EBT/SNAP benefits at the farm stand. EBT benefits are doubled up to $50, and can be used to purchase CSA shares. ​Cash and checks accepted always, EBT and credit cards accepted when we are on the farm (most of the time) so ring the bell or call 617-777-0117 to see if we are home!